Abarth 124 Spider Review 2019 | What Car? 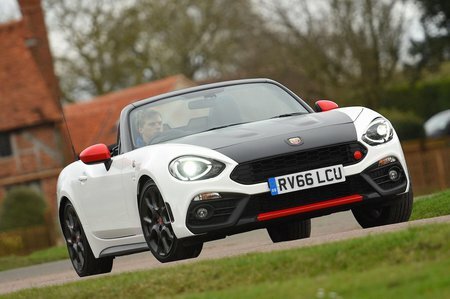 The story behind the Abarth 124 Spider is rather convoluted, with it being essentially a sportier version of Fiat's 124 Spider, which is itself based on the hugely successful Mazda MX-5. Abarth, you see, is Fiat's in-house tuner. 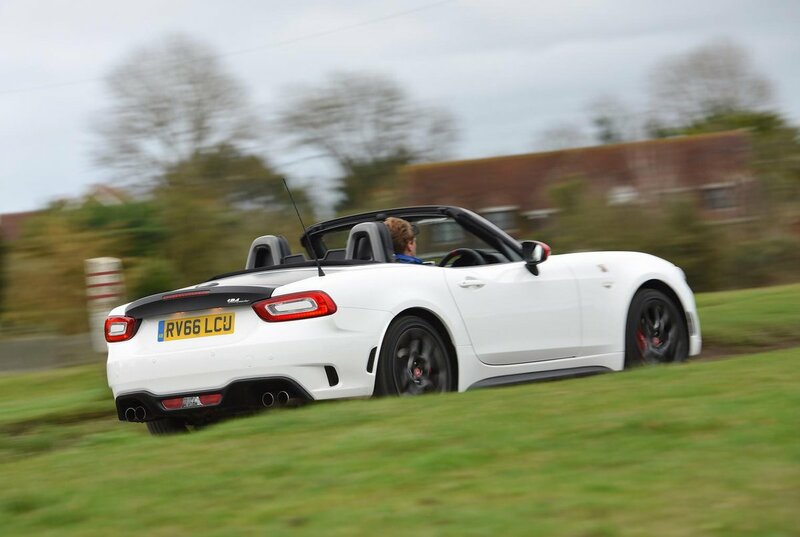 However, you won't find any Fiat badges on this car and it's sold in separate dealerships. What you do get is the two-seat interior and rear-wheel drive platform from the Mazda (and the Fiat), but with stiffer suspension, a traction-enhancing limited slip differential and a more powerful version of the turbocharged 1.4-litre petrol engine found in the Fiat. So, the Abarth is the fastet version of this fine-handling sports car, but it's also the most expensive. Read on to find out if it's worth the extra.